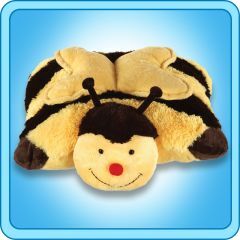 Home > PillowPets 11" > Bumbly Bee 11"
My Pillow Pet Buzzy Bumbly Bee Toy - Size: Small 11"
Well there certainly aren't many Pillow Pets with a happier name than Buzzy Bumble Bee, and his popularity is obvious based on the fact that every single product that the Pillow Pets offers has one in Buzzy Bumble Bee form. 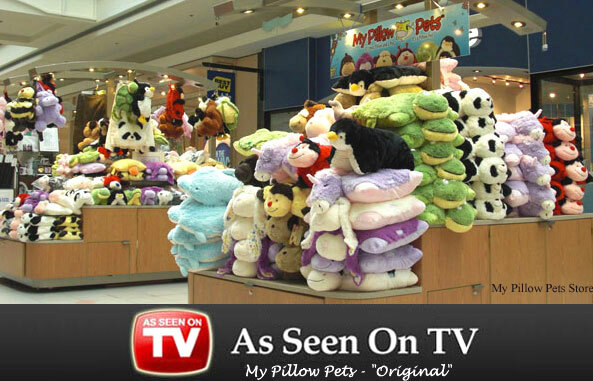 This is one of the most popular characters available among all of the My Pillow Pets which also keeps these toys in very high demand. 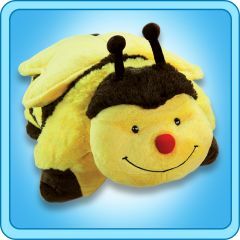 Many small children would love one of these plush stuffed bumblebee toys as a gift for Christmas or a birthday, and the ability for the toy to double as a pillow is just bonus. This very fun toy, or pillow depending on how you are using it at the time, is very popular with children.